When you’re a motorcycle enthusiast, it’s hard to imagine life without the open road. On one of California’s many beautiful days, you can take the bike out and enjoy the feeling of fresh air and sunshine on you as you ride! 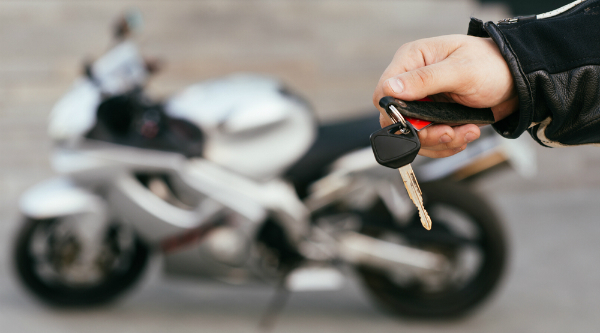 Of course, it’s necessary to purchase motorcycle insurance, but what does it actually do? Let our Santa Monica insurance center clear up any confusion. How much does motorcycle insurance cost? This, like car insurance, is dependent on a number of things. The type of bike you own, its value, and how you ride it are all factors. Why does the type of bike I have impact my insurance rate? Different types of motorcycles prioritize different things. A sport bike will have higher insurance rates than some other types because they are a little riskier, so this may be something to consider when you’re shopping for your new or new-to-you motorcycle! Is motorcycle insurance more expensive than car insurance? Be prepared for higher costs than you may be used to with car insurance: though we trust that Santa Monica drivers are safe, there’s no denying that motorcycle insurance is a bit riskier, as bikes are relatively easy to steal, and have lower visibility and thus increased risk of accidents than a regular car. However, our competitive rates will be very appealing to motorcycle drivers looking for a great deal on extensive coverage! Can I get coverage beyond regular collision insurance? Yes. You can opt for comprehensive coverage, which means your insurance is no longer confined to covering crashes with another vehicle. Comprehensive coverage includes incidents like flooding, wind, vandalism and theft. We know that motorcycle insurance shoppers are always looking for a great deal. Get a quote from Sully Insurance today and let us show you how insuring your bike doesn’t have to be too costly!